SEATTLE, WASHINGTON | March 29, 2018 – The National Court Appointed Special Advocates (CASA) Association announced today that Darci Anderson has been appointed as a member of its Suburban Leadership Council. The Suburban Leadership Council is one of four local program advisory councils (Urban, Suburban, Rural, and Tribal) convened by National CASA to identify issues common to programs operating in similar community environments and to recommend best practices to improve outcomes for children and families. Appointments to the councils are for two years. 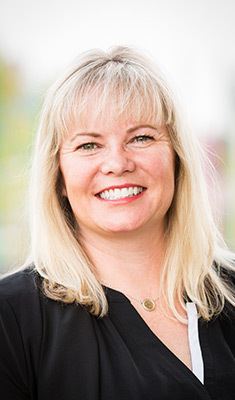 “Through strong partnerships and collaborative strategies, together we will strengthen the foundation of the CASA/GAL member network, create pathways for sustainable organizational growth, and generate better outcomes for the abused and neglected children served in the communities we serve,” said Tara Perry, Chief Executive Officer of The National CASA Association. Darci Anderson, CASA Program Director, with Family Advocates in Boise, ID, was appointed to the National CASA Association Suburban Leadership Council. Along with 11 other CASA directors from across the country, Darci will be sharing her expertise gained by serving abused and neglected children through court appointed advocacy in their own suburban community of the Fourth Judicial District. Family Advocates, a Boise-based nonprofit, works with trained volunteers to keep kids safe and help strengthen families in the Treasure Valley. The CASA Program supports 103 volunteer Guardians ad Litem and 74 pro-bono attorneys to represent the best interests of children of abuse, neglect, and abandonment in Ada, Elmore, Boise, and Valley Counties. More volunteers are greatly needed and more information can be found at www.familyadvocates.org. The National Court Appointed Special Advocate Association (National CASA), together with its state and local member programs, supports and promotes court-appointed volunteer advocacy so every child in the United States who has experienced abuse or neglect can be safe, have a permanent home and the opportunity to thrive. Today, nearly 87,000 court appointed special advocate (CASA) and guardian ad litem (GAL) volunteers serve more than 280,000 children, but more than 400,000 children are without a volunteer advocate. National CASA is working in partnership with its state and local programs in 49 states and D.C. to close that gap.